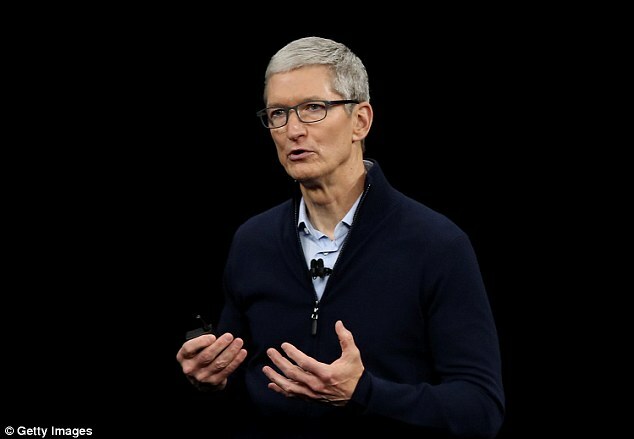 Apple boss Tim Cook is on course to be handed shares worth almost half a billion pounds in just four years. The chief executive has this month received 560,000 shares in the company, worth around £93m, under annual pay and performance schemes. Regulatory filings show he is set for another 2.38m shares by 2021, worth more than £400m at the current share price. It would be one of Wall Street’s biggest-ever payouts, although it would still be dwarfed by the record £900m handed to hedge fund chief Daniel Och in 2008. After receiving his latest award, Cook immediately sold more than 265,000 shares, worth £44m, while another 295,000 were held back for taxes. It comes just weeks after the iPhone maker became the world’s first public company to reach a trillion-dollar market capitalisation. Cook, 57, separately holds another 901,500 shares in Apple, worth £150m at yesterday’s prices.